There's a big reason why we call our biggest shape-cutting and embossing machine a Big Shot. 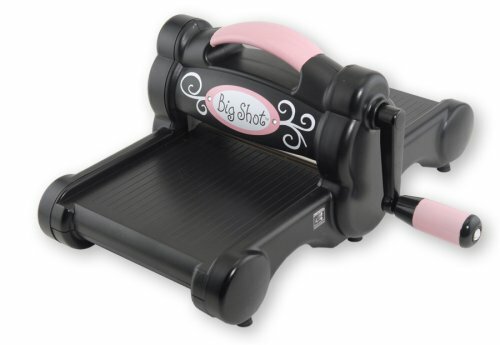 It's because the stylish black-and-pink Big Shot works with the entire Sizzix product library, including our biggest and smallest dies and most exciting techniques. If that wasn't big enough, this ultimate roller machine cuts everything from cardstock to fabric and many things in between. Now that's a big deal. Included with the Big Shot are a pair of Standard Cutting Pads and the Multipurpose Platform, which makes all Sizzix components compatible with the Big Shot Machine and even works with other brands' dies and embossing tools! The Big Shot Machine measures approximately 14 1/4" x 12 3/8" x 6 5/8”.